Dutch Lake Resort is located in Clearwater, BC. 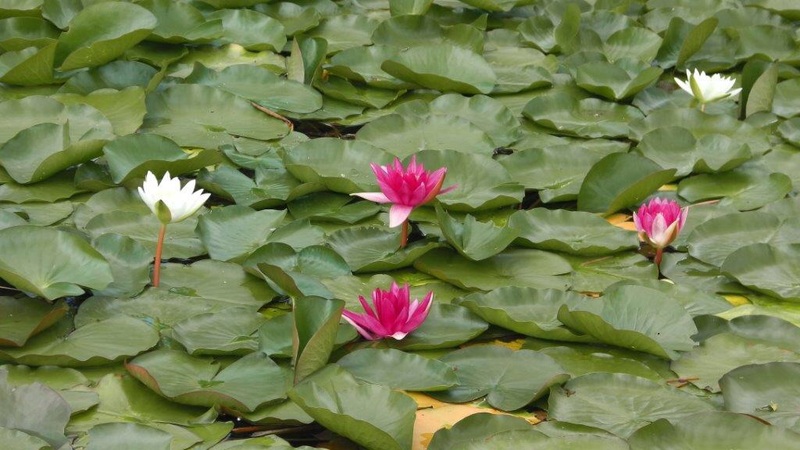 It offers a number of fully serviced lake view RV sites as well as shaded and open partially serviced sites. All of the sites are a short walk to the lake. 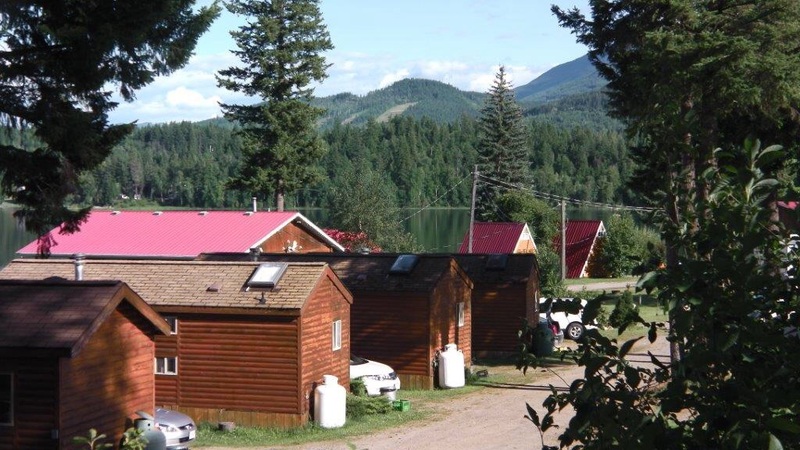 Clearwater is approximately half way between Edmonton, Alberta and Vancouver, BC (about a 5.5 hour drive either way).Clearwater is the gateway to Wells Gray Provincial Park and has lots of outdoor activities for campers in the area. 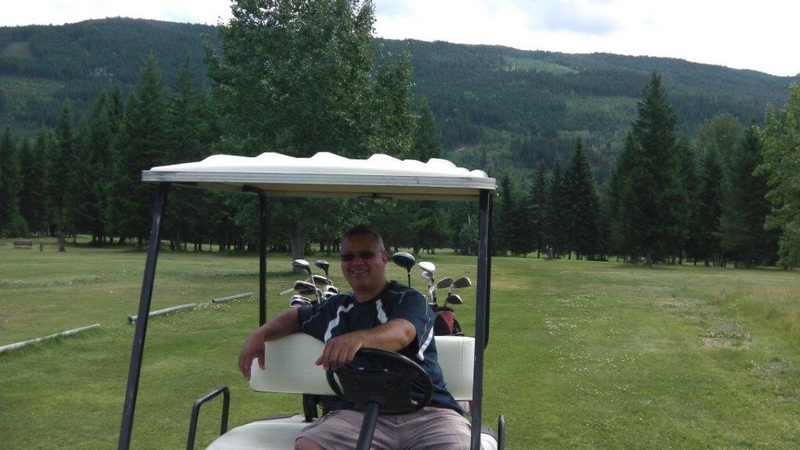 Wells Gray is known as a world-class destination for canoeing, rafting, kayaking, fly-fishing, hiking, camping and horseback riding. 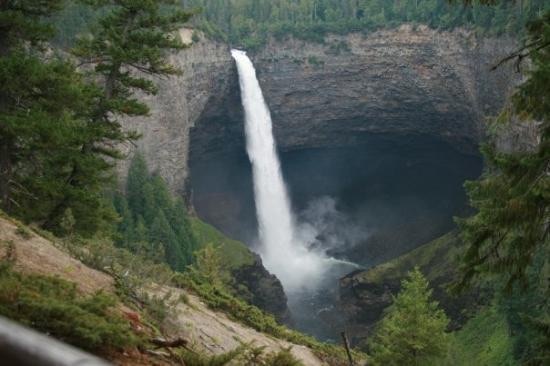 It is home to some of Canada’s most impressive waterfalls, lakes, and wildflowers, including sights such as Helmcken Falls, a waterfall 2 times the height of Niagara Falls, Murtle Lake, North America’s largest non-motorized lake, and the Trophy Alpine Flower Meadows. Any site that has a view of the lake is a bonus (sites 1 through 3, 14 through 21 and 32 through 37). Sites 32 through 37 are more wooded and quite large with lots of space between them. The sites further along (72 to 75) are not as desirable, even though there is a partial view. The sites in the middle of the campsite are very open and have little privacy, but of course more sun. We stayed with friends in sites 33 and 34 which had a nice view of the lake and were close enough to the dock area to walk down. We were looking for somewhere to spend some time camping with friends and found this campsite that had availability for the five weekdays of the last week of July 2012. Anybody who has tried to book camping anywhere close to the Lower Mainland at that time of year knows what a challenge this can be! We’ve found that by moving away from the Lower Mainland and the Okanagan we can get some great camping and for a much lower cost. 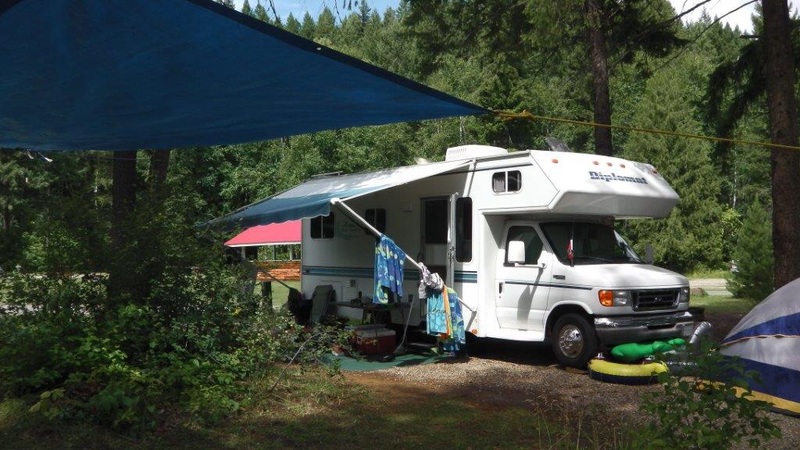 We found this campsite on the web and were able to get two lakeview spots with full hookups. We drove up from the Lower Mainland the weekend before, stopping mid-way for a few nights on the way at Lac le Jeune provincial park. Our particular campsites at Dutch Lake had a lot of trees and the spots were very spacious and well away from the rest of the campers. We found the campsite is very popular with the German campers that made overnight stops on their Canadian camping adventures. We had a relaxing vacation, with lots of time spent around the campfire, playing games and of course, eating and enjoying our wine (ladies) and beer (men). One night dined out at the Painted Turtle restaurant (located right in the campground) where we had a lovely dinner with a view of the lake. With everything right there, there didn’t seem to be much reason to leave the campsite, but we thought we should try to see some of the local sights. We had wanted to go and see Helmcken Falls and were disappointed we didn’t fit it in – the falls are supposed to be spectacular! 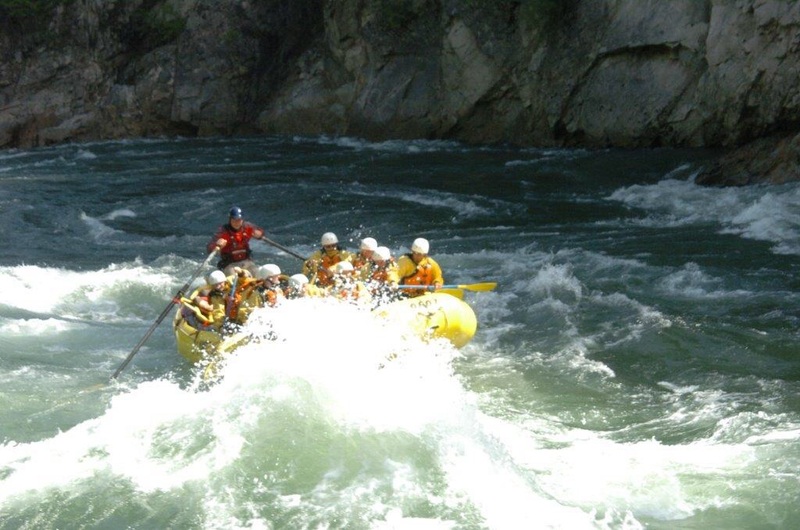 We did, however, get up our courage and go on a river rafting trip with Interior Whitewater Expeditions, whose office is a very short distance from the campsite. We booked the “Ready-Set-Go! 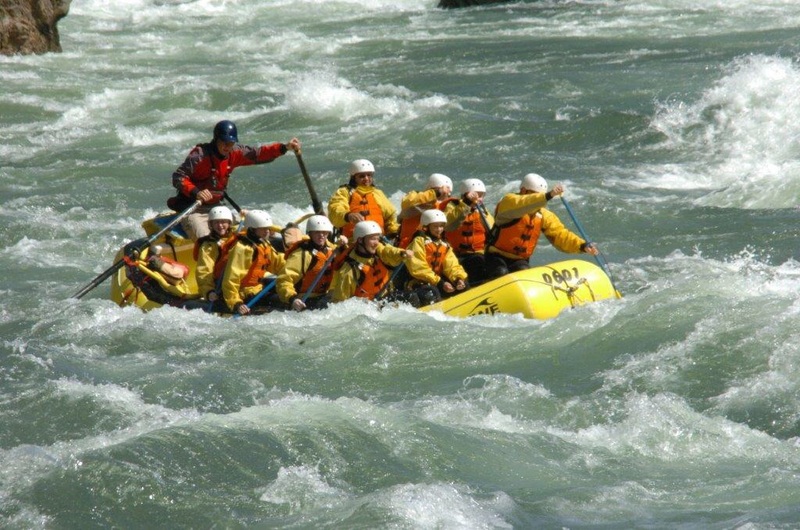 ~ Half Day Whitewater Rafting” package and it was great! For me, the highlight was a short walk up to a waterfall and then jumping underneath the falls and feeling the power of the water pushing us down – unforgettable! Comparing to another rafting trip we did down the Nahatlatch River years ago (when we were much younger and didn’t have children and thought didn’t think so much about how cold the water is), I would say this one was much better suited for families – enough white water to be exhilarating without being terrifying! I would definitely recommend the rafting experience. The men and the kids went golfing at a course about half an hour south of our campsite. Can’t remember the name and also can’t seem to find it on the internet??? Maybe it isn’t there anymore, but what they remember is a lot of frogs (they even ran some over with the cart! ), hilly and they came back loaded with insect repellant because of all the mosquitos. Like camping, it’s usually these kind of experiences where things aren’t quite what you expect that make the best stories around the campfire! On our last night there we were lucky enough to witness a spectacular lightning storm. One of the strikes hit an electric transformer across the lake, with a huge explosion. For us from the Lower Mainland, experiencing thunder and lightning can be a real highlight when we go camping and summer vacation just isn’t complete without at least one good storm.